There’s a lot of pressure on pregnant women to decide to breastfeed their newborn. The idea that ‘breast is best’ is pervasive in our society, but it stigmatizes women who either aren’t able or aren’t willing. Women need to be empowered to make a decision that is based on evidence and facts but ultimately is one with which they are happy. There are so many incredible advantages to breastfeeding, but there are some disadvantages too. It’s natural – your body was created to be the absolutely ideal way for you to pass nutrition to your child. Breastmilk is the absolute best form of nutrition a child can get. It’s good for you – women who breastfeed their newborn tend to find they recover from childbirth fast than women who don’t. 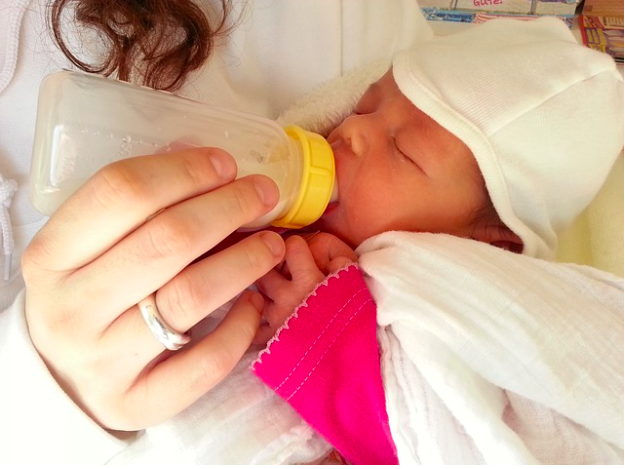 Night feeds are easier – going downstairs to make a bottle with formula in the middle of the night can be a bit of a nightmare. With breastfeeding, you can get into your comfy nursing den and just let your little one latch on while you catch up on Netflix. It’s economical – breast milk is basically free, formula isn’t. While you’ll find you’ll probably eat more, breastfeeding can still save you a lot of money. It’s easy for the baby to digest – breast milk is perfect for the baby’s digestion. While some formula comes close, it’s never quite the same. It relaxes you – breastfeeding releases oxytocin, which is a feel-good hormone that also helps you bond with your newborn. You will have less freedom – when bottle feeding, anyone can take the responsibility, not just the mom. With exclusive breastfeeding, it’s only mom that can wake up in the night for feeds, and you can’t get too far from your baby between feeds either. You have to make healthy lifestyle choices – you’ve spent nine months pregnant, unable to drink caffeine or alcohol, and once the baby is born some women like their freedom back. Caffeine, alcohol, and nicotine are all passed on in breastmilk and can be harmful to your baby. Some foods can also get passed on through breast milk, which the child may not enjoy. Your partner can’t join in – breastfeeding denies the second parent the opportunity to bond with the baby to the same extent as the feeding mother. Some partners can feel quite left out as a result. It can be difficult to get going – some babies just won’t latch on, whatever you do to try to coax them. It can be very disheartening for a new mother who can’t feed, who may feel like a failure. It can be difficult in public – if you’re particularly modest, it can be tricky to feed in public places. Nursing covers can really help with this, so it’s something to consider while you’re pregnant and baby prepping. *Remember, it’s entirely a personal decision as to whether you choose to breastfeed or not. It’s not appropriate for other people to weigh in and act judgmentally about the decision you have made.